Size : King h 3,8″ and Base h 1,14″. 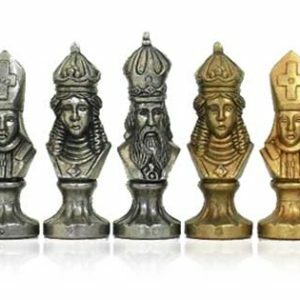 Material: chess pieces made by solid brass and natural wood. The pieces are made with turn lathe machine and finish by hand. One side is natural brass color, the other side is nickel plated.